Choosing a specialty can be a difficult part of any student’s studies. With four concentrations to choose from (product design, robotics & IT, energy efficiency, and production management), ECAM Engineering students have their work cut out for them. That is why ECAM Lyon sent 64 first-year ECAM Engineering students to start the New Year with a weeklong visit to ECAM Lyon partner universities Politecnico di Torino (Turin, Italy) and Staffordshire University (Stoke-on-Trent, UK). Students lived on-campus, participated in workshops, and went on industry visits to help them choose their specialization. Every ECAM Engineering student has to choose a concentration and study with a partner university to obtain an MSc in their concentration in addition to their master’s level engineering degree in electrical and mechanical engineering from ECAM Lyon. This gives students the advantage of having a strong international background in addition to their specialization. To give students an idea of what to expect in their fourth or fifth year, ECAM Lyon organizes orientation weeks so students can see for themselves what life and studies are like in their future schools. 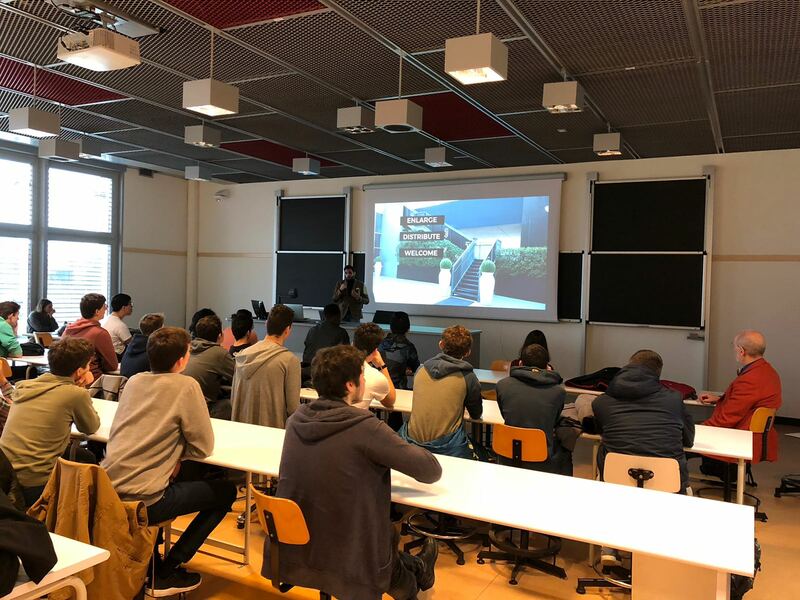 Students who went to Politecnico di Torino were treated to a program centered on product design. Lucile Trevisan, eco-design professor at ECAM Lyon, said, “Students were provided with an overview of the industrial design skills and know-how developed at Politecnico di Torino and some of its partner companies.” Students discovered first-hand how design is a vital element in today’s production methods through visits to industry leaders Abet Laminati and Pininfarina, and applied their newly acquired knowledge to a design project with Politecnico di Torino students.